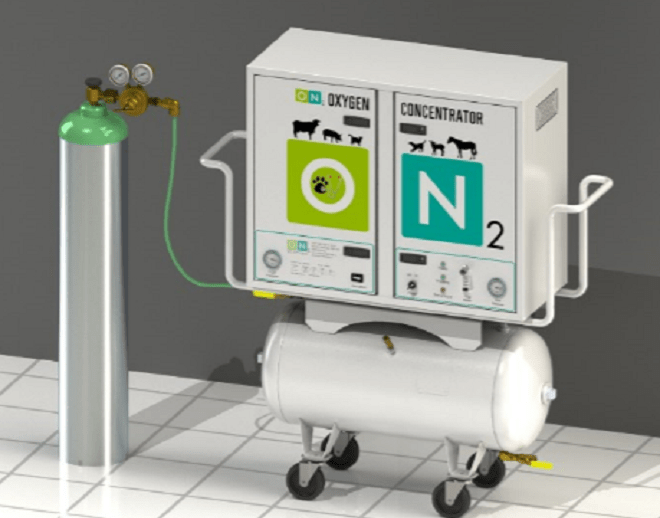 The ON2 Oxygen Concentrator (OC) is specifically engineered for medical oxygen gas generation. 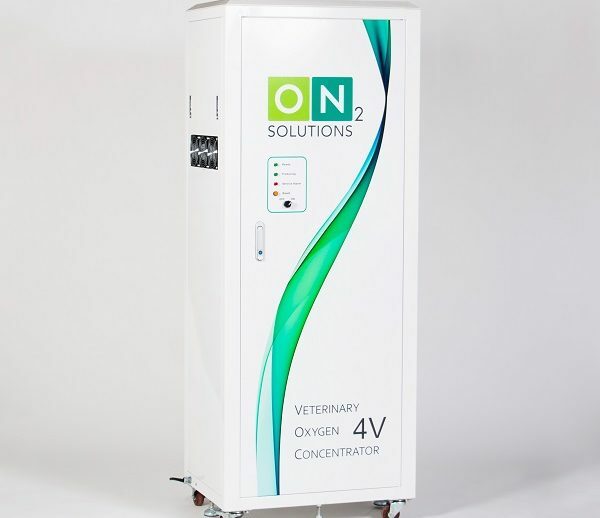 ON2 is now able to offer compact OC Systems that are specifically designed for Veterinary Medicine. The V-Series Oxygen Concentrators can produce from 10 to 60 litres/min of 95% oxygen (+/-1%). Oxygen Concentrators have proven to offer unmatched reliability and operating efficiency for over 25 years. 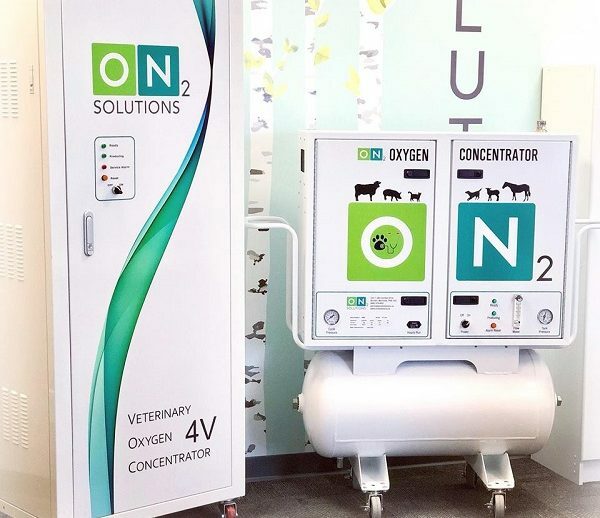 Our Veterinary Systems are able to provide an immediate reduction in oxygen costs and eliminate exposure to future increases due to increased usage or supplier price hikes. 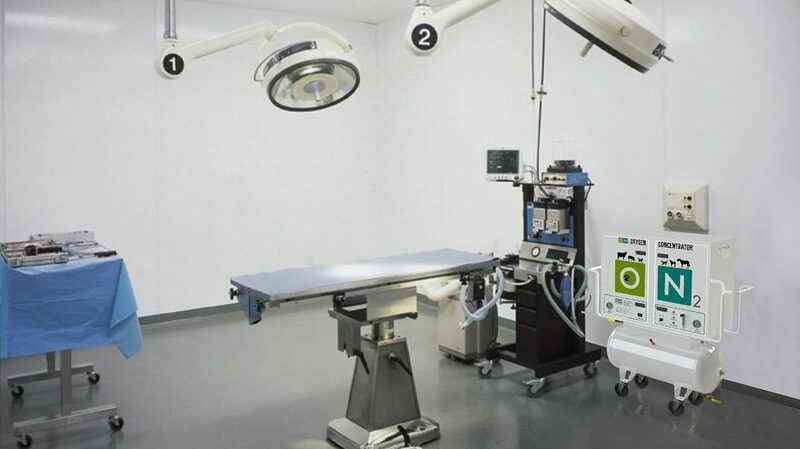 Our Veterinary Concentrator systems will provide the same reliability of our full-size hospital models, but their compact size and mobility make them the perfect SOLUTION for Veterinary use. As part of our commitment to Veterinary Medicine, ON2 has established Operation Rescue to help support local Animal Rescues. Never run out of oxygen again! WEIGHT OC-1V / 300 lbs. OC-4V / 420 lbs.